The Alesis Nitro Kit Electronic Drum Set is the perfect way to kick start your band or musical talents. This kit is considered a best buy on Amazon and it is one of the best selling drum sets on the market. The kit comes complete with 8” Toms, 8” Snare, and 10” Cymbals. The drum set looks appealing and will feel even better when you begin playing it! With this kit, you will have all the tools necessary to play your best. In all, there are eight different pieces included with this drum set. You are assured a high quality sound, extra sound tracks, and a comfortable feel while playing when you purchase the Alesis Nitro Kit Electronic Drum Set. In addition to all of the perks of this complete kit, you also get all the needed pieces at a fraction of the cost of other drum sets. The Alesis Nitro Kit Electronic Drum Set is one of the best selling electronic drum kits on the market. It comes complete with everything you need to get started playing the drums. In fact, the set includes all of these items: Drum Module, 8” Tom Pads, 10” Crash Pad along with the choke, 8” dual-zone snare pad, 10” ride pad, 10” hi-hat pad, drum sticks and key, hi-hat and kick pedals, cable wrap strips, aluminum rack, kick pad tower, an assembly guide, a power supply, a user guide, and a cable snake. This drum set is a best buy because it has a very reasonable purchase price, one of the lowest on the market for the quality and quantity of materials provided. 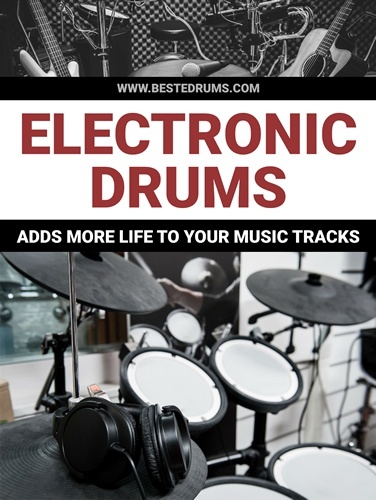 This makes the drum set ideal for users who are just beginning to test out their skills, who are playing for a hobby, or who are trying to decide if they want to play professionally. 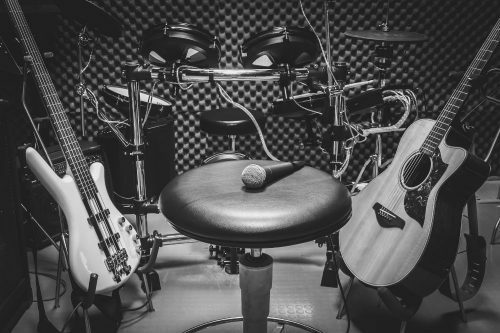 The drum set is not ideal for professional players, who plan to book music gigs, since some parts of the drum set do not always activate as promised. In addition, the drums may tear if they are played with heavy sticks or if they are hit too hard. Lastly, this drum set does not have the option to expand to a taller height for individuals who are tall. Prior to purchasing an expensive drum set, it can be helpful to compare at least one additional kit. One drum set that is similar is the Alesis DM10 Studio Kit. This kit also boasts everything that you would ever need to start your music career. However, this set is much more expensive than the Alesis Nitro Kit Electronic Drum Set. However, the higher price point means that it includes additional features, such as over 1,000 sounds that are built-in while the Alesis Nitro Kit only has 40 different sounds. Overall, the Alesis Nitro Kit Electronic Drum Set is an ideal choice for anyone who wishes to try their hand at playing the drums. It is an excellent choice for practice and its low price point makes it financially accessible to a variety of different individuals. However, it is not an ideal choice for professional players, who wish to play in public, given that the set sometimes malfunctions or does not react when hit. Despite this, the set is ideal for entry-level players who simply want to test out their skills in the comfort of their own home.